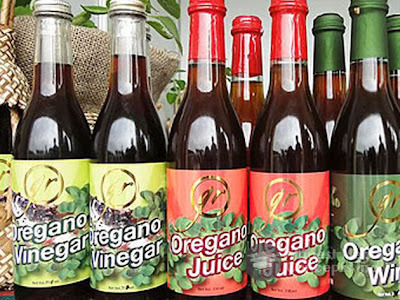 TIAONG, QUEZON – Oregano wine produced by housewives in Quezon has been selected for exhibition in an annual wine festival in Turin, Italy. 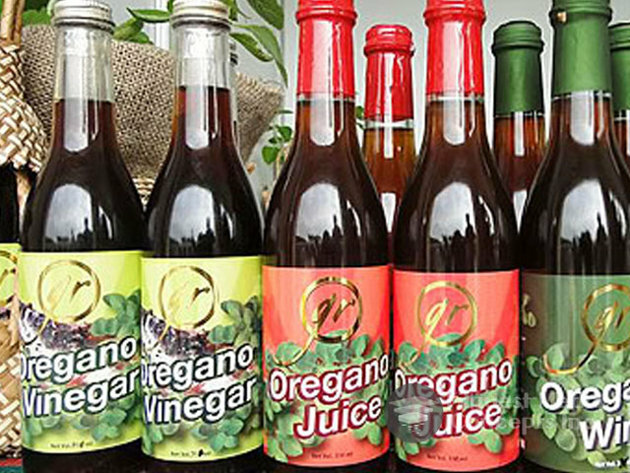 The Quezon Agricultural Experimental Station and the Green Rescue Organics Products (GROP) introduced oregano wine at a local trade fair about two years ago. Since then, it has grown in popularity among wine drinkers and health-conscious consumers, said GROP co-founder and local scientist Dr. Estela Tano. Oregano is brought by overseas Filipino workers (OFWs) to countries like the US, Canada and the Middle East, according to Tano. Like red wine, oregano wine is good for the heart and is also touted to benefit people with ailments such as asthma, low immune system, prostrate problems, poor blood circulation, insomnia, and urinary tract infection (UTI). GROP also produces oregano tea, along with ginger and turmeric tea, in tea bags. “The prospect of marketing tea products in the country is not that low now compared before. Filipinos, especially those who travel abroad, are now into health and wellness. They are also familiar with the benefits of drinking tea,” said Tano, noting that most local restaurants nowadays serve tea. At present, the small cooperative gets its oregano raw materials from over 10,000 square meters of organic plantations in Mount Banahaw. They also source oregano from organic farms in Calauan, Laguna. price of P10 per kilo,” said Tano. Filipinos are more familiar with oregano as a traditional herbal medicine to relieve cough. It is also a good source of vitamins B and C, calcium and iron. It also aids in menstruation and has antiseptic, antiviral, antiparasitic, antioxidant, carminative (relieves flatulence), diaphoretic (increases sweating) properties. It cures dyspepsia (kabag), chronic and dry coughs, bronchitis, removes phlegm, and alleviates rheumatism and chronic fatigue, added Tano. The Department of Agriculture’s Bureau of Agricultural Research (DA-BAR) funded the development of oregano products over the past two years under the umbrella project called Indigenous Plants for Health and Wellness (IPHW). This project aims to boost research on organic products rich in cancer-fighting phytochemical and anti-oxidants, while raising the volume of herbs and spices that the country ships abroad. “Our indigenous plan program will develop the country’s capability to produce health and wellness products like how Koreans marketed ginseng tea,” said DA-BAR director Nicomedes Eleazar. Aside from oregano, BAR also included moringga, saluyot, ulasiman bato, pili and cashew nuts, yerba buena, native onions and garlics, sesame,citronella, and tanglad (lemongrass)in the IPHW program. Of these, the oregano program yielded more value-added products such as juice, tea, vinegar, and antibacterial soap. Interested buyers and resellers can visit the Agribusiness Development Center at the DA office in Quezon City or the Geoshop in Cubao Expo. There will also distributors in Bulacan, Pampanga, and Baguio City. Filquest Media Concepts, Inc. , the parent company of loQal.ph, is a multimedia publisher and provider of web, print, mobile and video content. We do this for our own media properties, but we also extend that service as an outsourced provider for news organizations, web, print, mobile and broadcasting companies. accumulate. Some are designed to be criminalized. can't move pass the time. Mobile Game Development is a second story. Effortless to play: Trying to play them for distinct work opportunities or careers.